How can you enjoy a garden in this month of cold weather, rain or even snow? 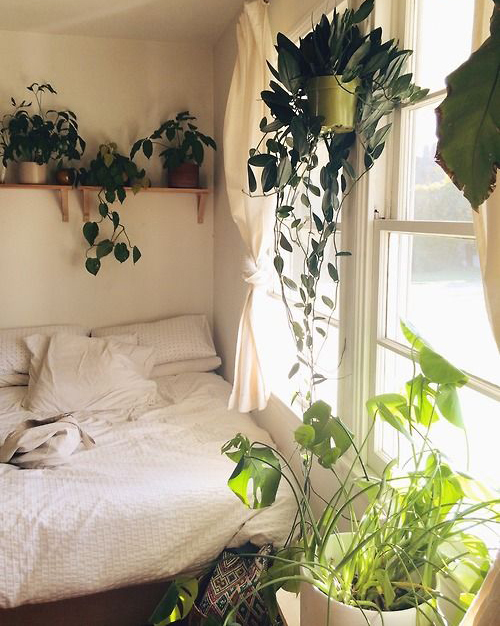 How about bringing it indoors! 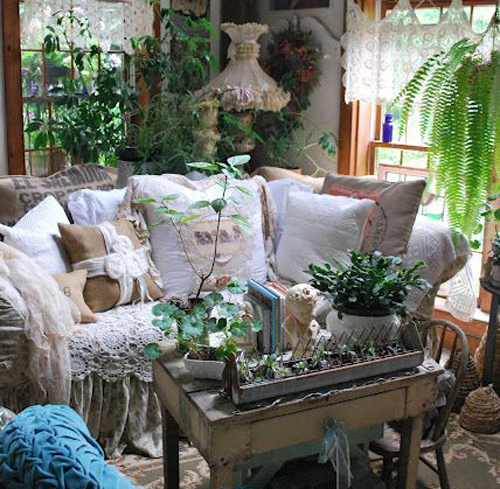 You can add a sun room to your home or create a warm, sunny place for potted plants and people to enjoy. 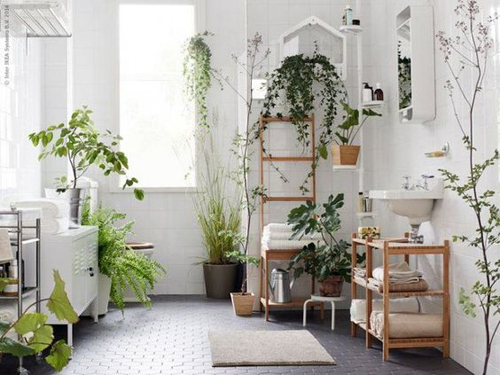 Turning a family room or kitchen nook into a garden room with potted plants is fun and easy to do with a few easy tips. Choose your plants carefully, add a few garden accessories like a birdhouse or garden lantern and create a warm inviting place during these cold weather months. To thrive all plants need light. To make them most happy you need natural light. You can always use a grow light if you don't have a south facing window that you can place the potted plants next to. All windows get some morning light but hot afternoon sun is not good since it can burn the leaves and tender flowers. Make sure if the window gets frost that the plants are not touching glass since being too cold is not good either. Keep your eye on the kind of light and length of light and know if you need to make any changes based on how the plants seem to be doing. Comfortable temperatures, like people are important to plants. Indoor daytime temps should range from 62 to 72 degrees with night temps no colder than 55 degrees. 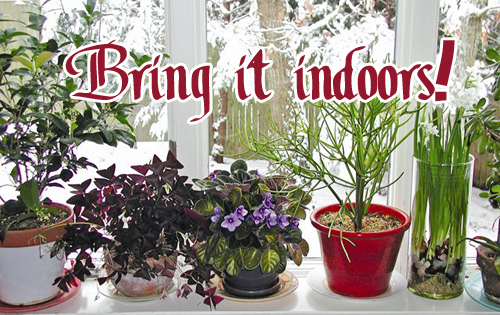 Keep the potted plants away from drafts, fireplaces and heater vents. Dry heat is common in most homes and can be very hard on tender indoor potted plants. For a cactus or succulent the dry heat is fine but a delicate African Violet or orchid need humidity. If you place saucers around the potted plants, filled with pebbles and water it helps. 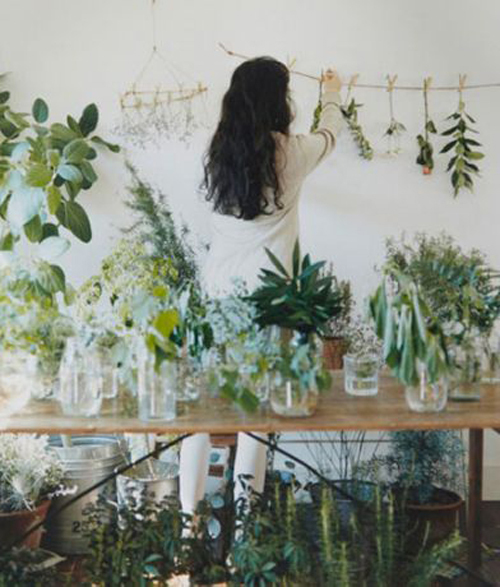 Mist the plants regularly or place them with a plastic bag over, creating a humidifier. Watch your indoor plants, adjust the temp, water, and light and you should have great success. Read more.....5 tips for overwintering your container. Read more.....To cold for container? Never!